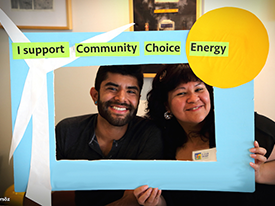 I recently authored a Berkeleyside op-ed in support of the Alameda County Community Choice Energy Program. This initiative will allow every energy user in Berkeley to access clean energy - through the grid! With others in the environmental movement, I have been working on Community Choice Energy for years. Read the full article on Berkeleyside. You can find out more about Alameda's proposed CCE program through the Sierra Club and the Ecology Center.